This bread is really earthy, and I love it. The crunchiness and richness of the walnut, and the slightly sharper flavour of the poppy seed, make for a semi-sweet bread with a more interesting texture than the standard loaf. 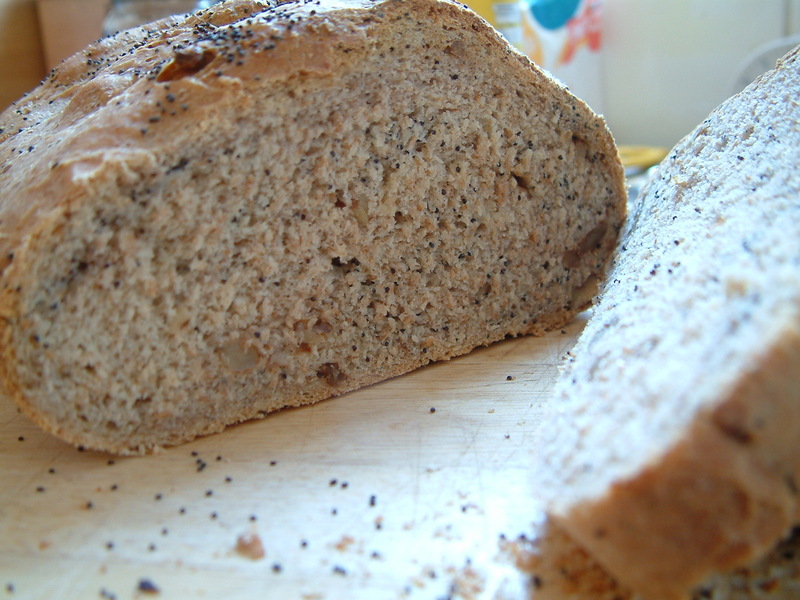 I would definitely say this is one of my favourite breads, which I will be making again and again. Add the salt and yeast to the flour in a large mixing bowl. Rub the butter into the flour mixture till you get crumbs forming. 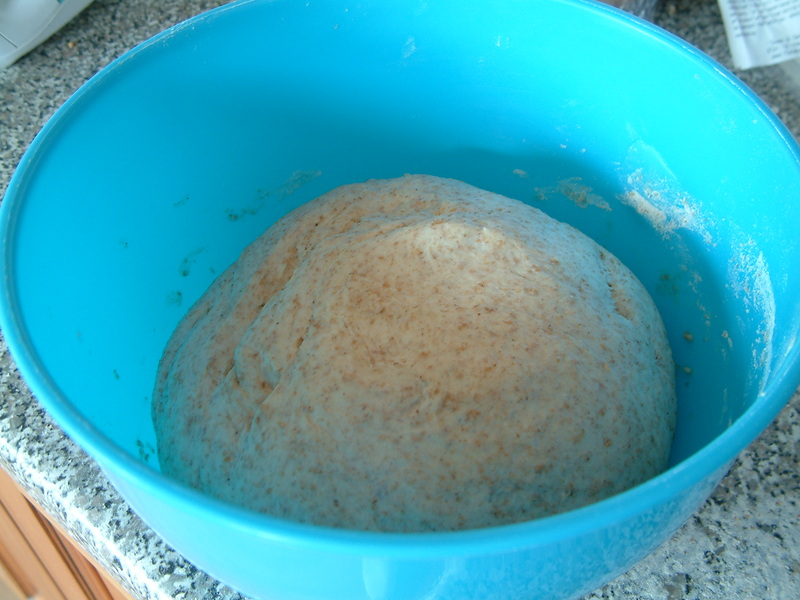 Pour in three-quarters of the tepid water, and use one hand to mix it in and form a dough. Add more water using your own judgement – you want a soft dough that’s not too sticky. Add as much water as you need to get this consistency. Once you’ve got your dough, tip it out onto a lightly floured surface and knead it for 5-10 mins. Put the dough into a lightly oiled bowl, cover with a damp tea towel and leave in a warm place to rise for about an hour, or until doubled in size. 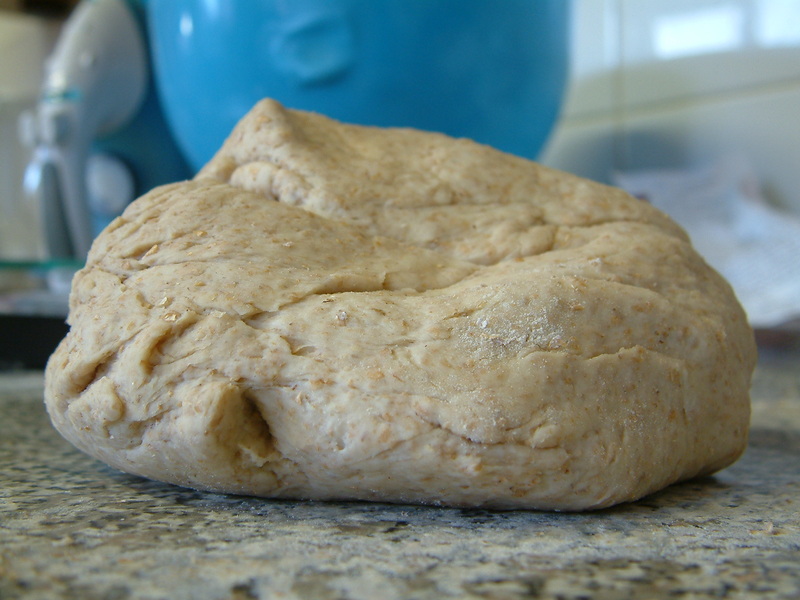 Tip it back out onto a lightly floured surface and gently knead it again to knock the air out it. Now add the walnut and poppy seed, and work them in. It might take a while but you will eventually get them all worked into the dough! Put it back into the bowl, cover it with a tea towel and leave it to rise for another 30 minutes. Take the dough out of the bowl and flatten it out slightly on the work top. Roll it into a sort of cylinder shape, and place it on a greased baking tray. 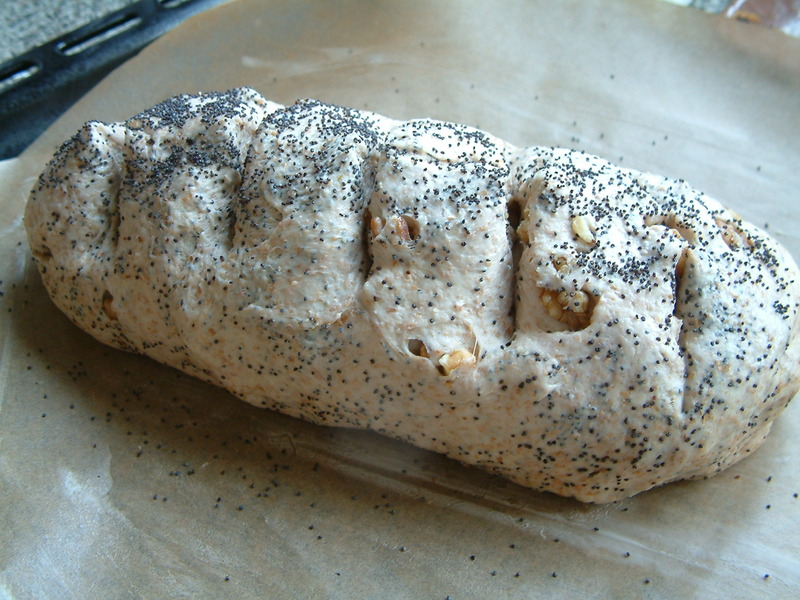 Brush some cold water over the top of the dough and then sprinkle with poppy seeds. Using a sharp knife, make some slashes across the top of the dough. Preheat the oven to 200°C(fan 180°C). Put the tray into a plastic bag and leave to rise for another 30 minutes in a warm place. Bake for 30-40 minutes, or until it’s golden brown and sounds hollow when you tap it on the bottom. Eat some while it’s still warm! My obsession for toasted nuts extends to toasted nutty bread, so I would definitely recommend toasting this bread before eating it, but to be honest it’s pretty good either way. 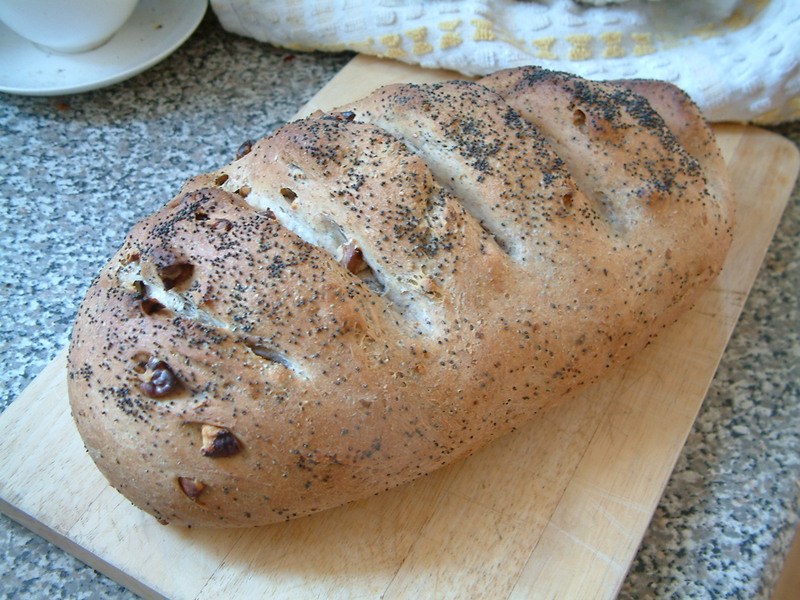 This entry was posted in Bread and tagged baking, bread, homemade, loaf, poppy sead, walnut. Bookmark the permalink.